Amidst broader discussions happening around the country regarding the value of higher education in today’s society, it can be easy to overlook the benefits of earning an MBA. But research shows the benefits of going back to school far outweigh the costs for many individuals. 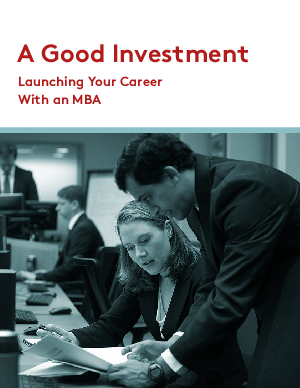 To learn more about the ways an MBA fosters career growth, we combined secondary research and interviews with career services professionals and alumni from the Samuel Curtis Johnson Graduate School of Management at Cornell University.